-Spirit Airlines announced today that it will begin service at the Asheville Regional Airport beginning Sept. 6 with flights to to Fort Lauderdale-Hollywood International Airport (FLL), Orlando International Airport (MCO), and Tampa International Airport (TPA). Spirit Airlines is an ultra low fare carrier and will join Allegiant, Delta, American, United and Elite at the Asheville airport. Spirit service to and from Fort Lauderdale and Orlando will each run three times weekly, while service to and from Tampa will operate two times weekly starting in September, increasing to four times weekly to Fort Lauderdale and Orlando and three times weekly to Tampa starting Nov.8, according to a press release. The Asheville airport is one of the fastest growing airports of its size in the U.S.
–Asheville Alternative High is a new tutoring service that will be operating out of the Asheville Masonic Temple in downtown. Asheville Alternative High “coordinates and provides all or part of a high school experience for students and families who want both freedom and structure for their education,” according to its website. -Blue Ridge Public Radio has hired Lilly Knoepp as a new full-time regional reporter based in Jackson County. 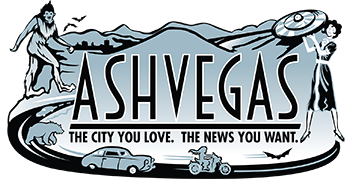 The station has also announced an expanded partnership with the Smoky Mountain News. Knoepp is a native of Franklin who returns to the mountains after serving as the assistant editor of Women@Forbes and manager of the Forbes podcast network and its social media components, according to a press release. She also voiced the Forbes podcast Bankable. Knoepp earned a master’s degree in journalism from the City University of New York after graduating from UNC-Chapel Hill with a degree in religious studies and political science. Along with Knoepp’s reporting, BPR listeners will continue to hear stories from Smoky Mountain News reporter Cory Vaillancourt, according to the news release. -Garden Party, “your source for elevated objects, unique finds, and mental magnetics,” is coming to The Dry Goods Shop on Haywood Road in West Asheville this summer. Follow them on Instagram @gardenpartyavl. -Winkler Knives, based in Blowing Rock, makes knives and axes for Navy Seals. They made knives for the filming of “Last of the Mohicans” in WNC back in the day. They’re beautiful objects of utility and mayhem. Check ’em out on Instagram @winklerknives. -The folks at Hendersonville-based Cognative MTB make lifestyle apparel targeting mountain bikers. On Instagram @cognativemtb. -Dissonant Skateboards is a skateboard builder in Asheville that i just discovered. @dissonantskate.